By definition a dry-type epoxy resin transformer is one that relies solely on the surrounding air for cooling, thus eliminating the need for liquid insulating mediums. Additionally and by the proper selection and treatment of the epoxy resin, these transformers are usually regarded as fire proof transformers. A simple and compact layout that will allow Copper-Cast to be placed anywhere, especially close to load centers thus eliminating the need for long cables and cable losses. With this in mind you can be sure that your capital investment in our transformers is the right choice as the revenues and benefits will come up in no time. 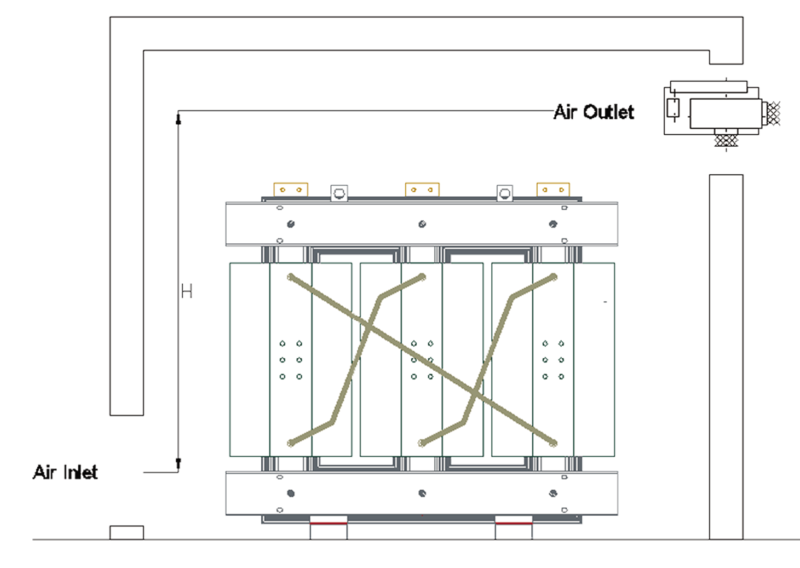 Many technicians and trained engineers have tendency to overlook the actual operating conditions of a transformer when it fails, rushing into the presumption of a poor design or a bad manufacturing experience. Whilst this might be a major cause of transformers failure, some other hidden causes need to be identified to avoid potential problems in the future. Among these problems is the clearance issue. This becomes a major concern especially when we are entering the medium voltage, medium to high power transformers. 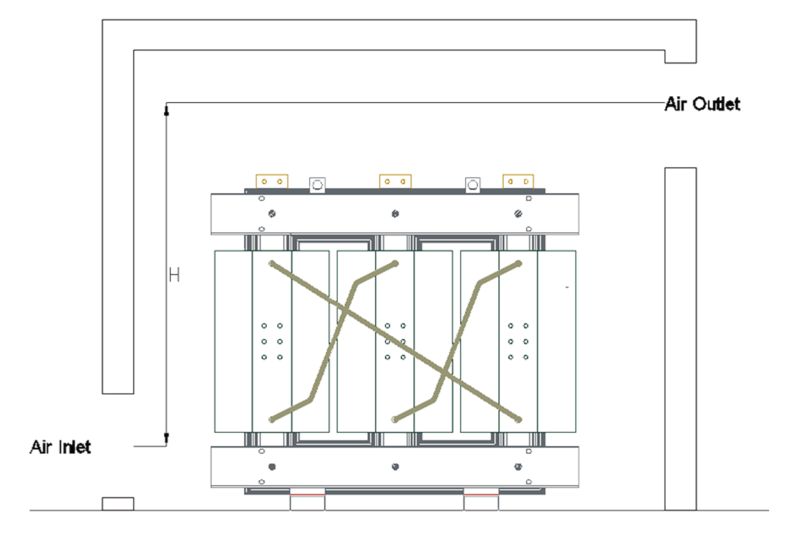 A list of various transformers configuration and clearances is available on this page and it is crucial to respect it when installing your transformers to avoid, flashovers, heat trapping and allow a free movement of technicians and individuals around the transformers. 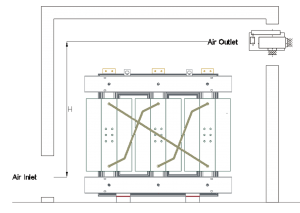 Connections to and from transformers in general and medium voltage transformers in particular are very sensitive, as special care and precaution has to be taken to avoid a string of problems and difficulties. 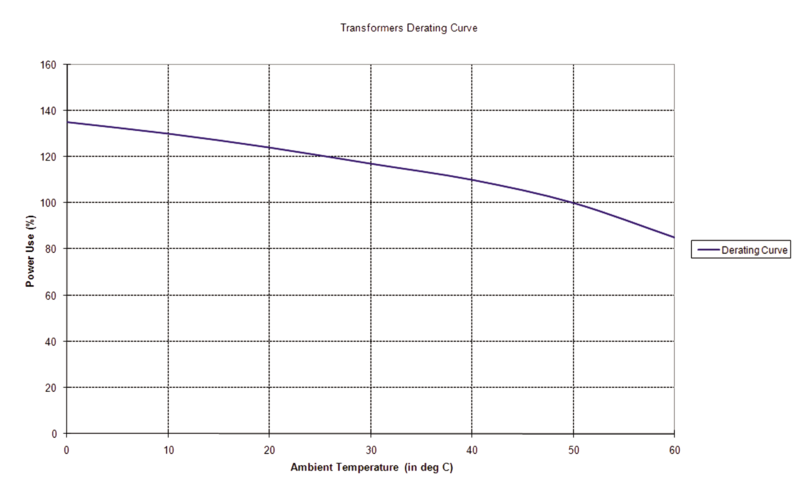 Even with their utmost efficiency, Copper-Cast transformers are still electrical devices that generate losses. This and the effect of other electrical devices and components that might be present in the substation or the electrical room, will add to the heat generation and dissipation. Due to their high and improved thermal constants, cast resin medium voltage transformers in general and Copper-Cast transformers in particular can withstand high cyclical overloads. By this we mean that if operated at a certain loading factor L (explained herein) the transformer can be overloaded by a certain percentage, for a certain time without reducing its useful life. respectively in tables 1, 2 and 3. 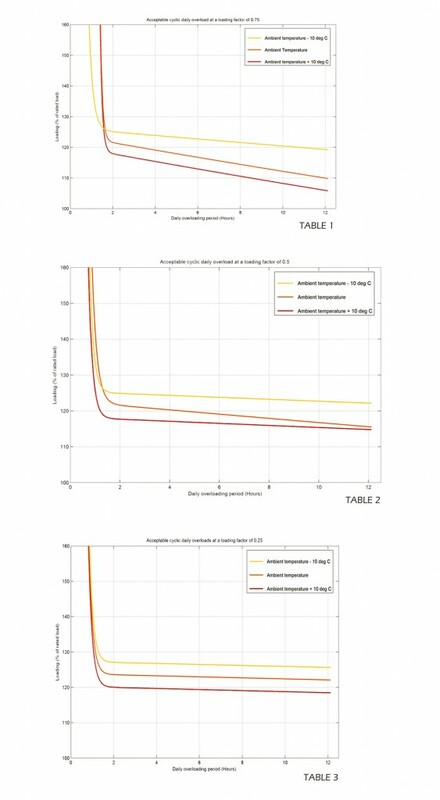 On these graphs one can also appreciate the effect of ambient temperature on the overloading graphs and see that if we are to bring back our transformers to a certain operating regime for the remainder of the day a certain overloading of x% can be attainable depending on the factors stated above. 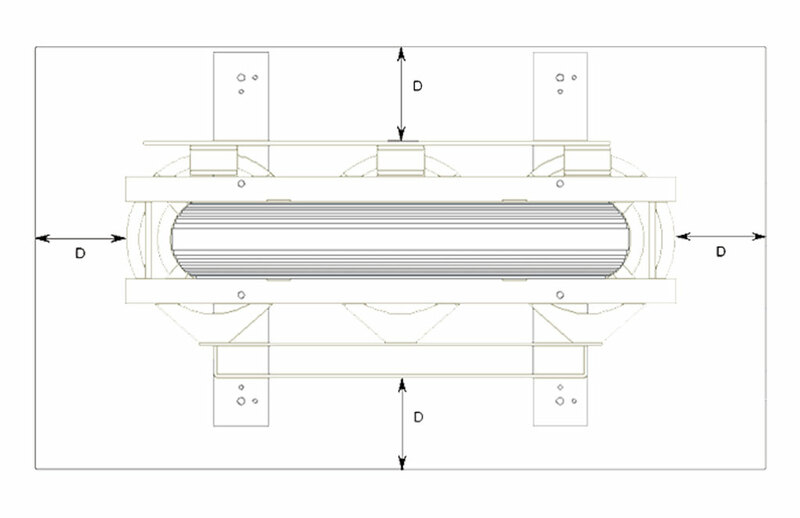 In any case as this is a design specific characteristic and it is recommended to come back to S.E.T.F technical department and study each case of overloading separately. 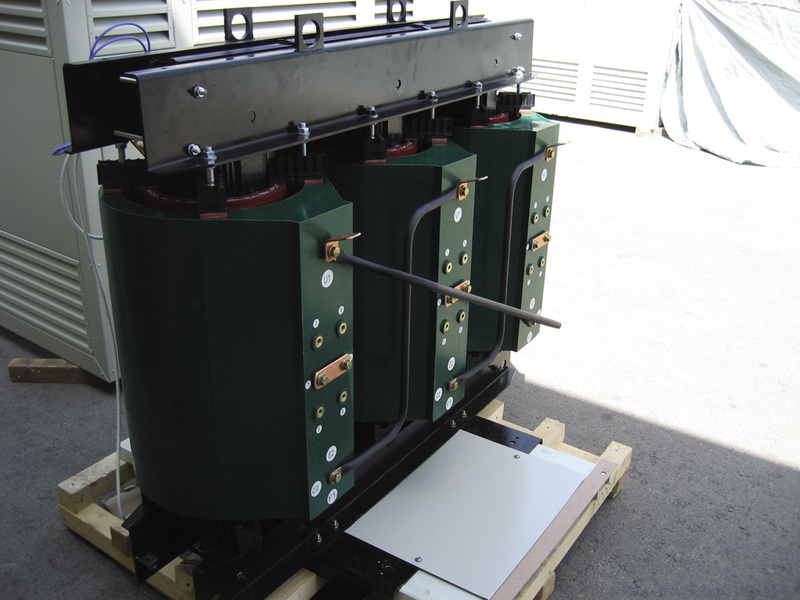 Copper-Cast transformers are usually manufactured to operate in an average ambient temperature of 40 degrees Celsius. Unlike other transformers, they will be fully rated at this ambient temperature and will require no de-rating. 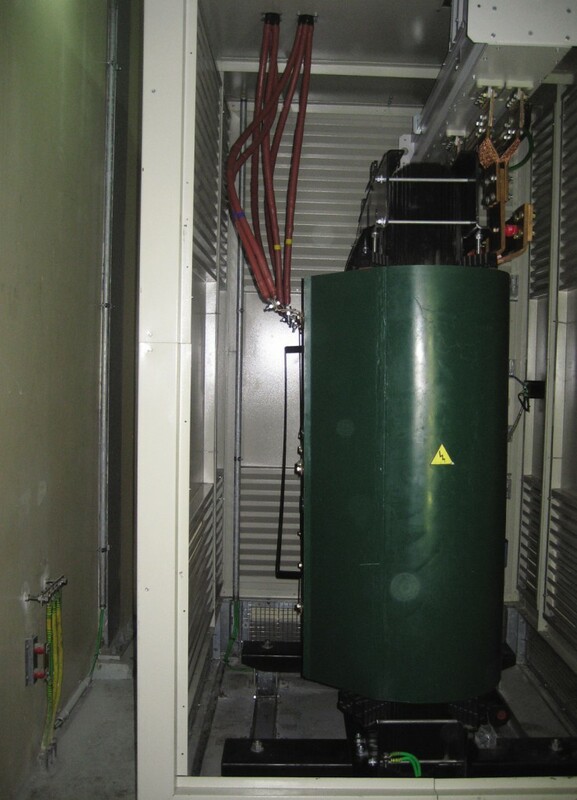 It is also a very common practice to liaise with the customer and design transformers that will operate even at temperature reaching 55 degrees Celsius. Nevertheless it will always be handy to keep in mind that a transformer deigned to give its full rated power at a certain ambient temperature, can be operated at a higher or lower ambient temperature by a proper factor. 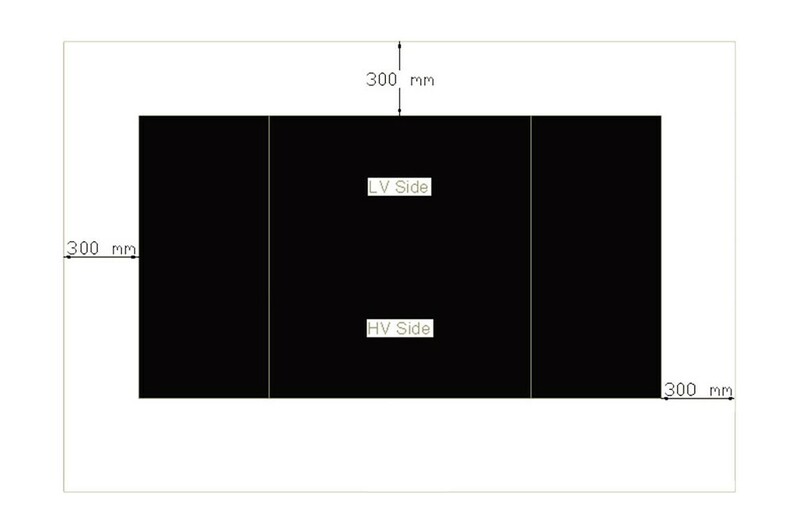 If this factor is applied then the transformer can be expected to deliver properly during its full life, without quick degradation or deterioration. As a quick example you will see the de-rating curve for a transformer designed to give it full rated output at 50 degree Celsius and the consequent power that can be drawn at other ambient temperatures.